Comfy sweater with short sleeves with a raw edge in a cotton blend grey melange fabric, round neckline, dropped shoulders. 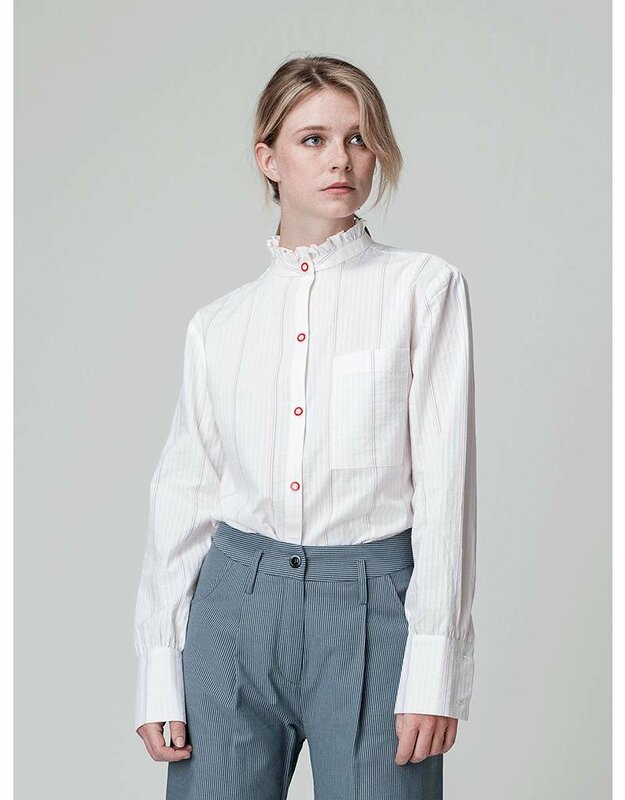 Beautiful embroidered cotton shirt with a front pocket, with a mandarin collar with hidden button closure and long, rolled sleeves, box pleat at the back. Slit front neck. model wears a size 36.